Product #16442 | SKU SRPX500P | 0.0 (no ratings yet) Thanks for your rating! 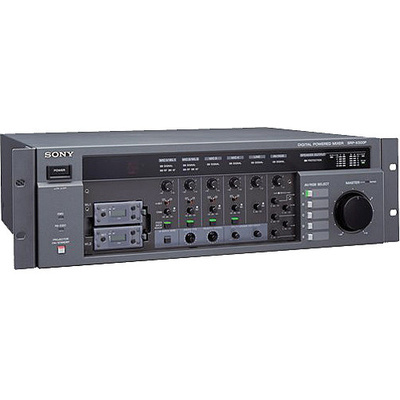 The SRP-X500P from Sony is an "all-in-one" audio/video matrix mixer, offering seven key functions in one rack-mountable unit. Ideal for lecture theatres, conference halls, and other presentation venues, the SRP-X500P offers a video switcher, RGB switcher, wireless tuner base unit, audio mixer, power amplifier, feedback reducer, and equaliser. This allows a presentation to include signals from wired or wireless microphones, as well as media from DVD or CD players, laptops, and more.